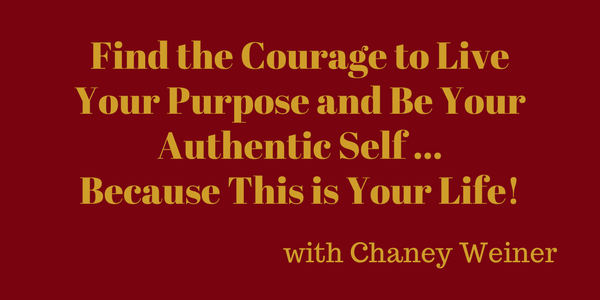 Find the Courage to Live Your Purpose and Be Your Authentic Self … Because This is Your Life! Do you ever feel unappreciated or misunderstood? Do you wish that you could just for once be recognized, respected and appreciated for all you do and who you are? Joyce meets today with Chaney Weiner, author of “Because This is Your Life…,” a book that is written as a reference to different areas of your life and how to achieve what you want in these specific areas. Chaney is offering an EXCELLENT gift that you don’t want to miss too! So tune in today to find out how to live your purpose and be your authentic self and truly feel great about it.